With several amenities of a big city but the charm of a quaint and quiet small town, it’s no wonder Westford has become one of Massachusetts’ most popular places to lay down roots. In fact, CNN Money even named it the No. 11 best place to live in the country! Situated just a mere 30 or so miles northwest from Boston, Westford is a growing town with lots to offer families and households of all types and sizes. With loads of community events, plenty of local amenities, and some top-notch schools you can really write home about, it’s the perfect spot to build a home and call your own. The town was originally a part of nearby Chelmsford, though it was incorporated on its own in 1720. 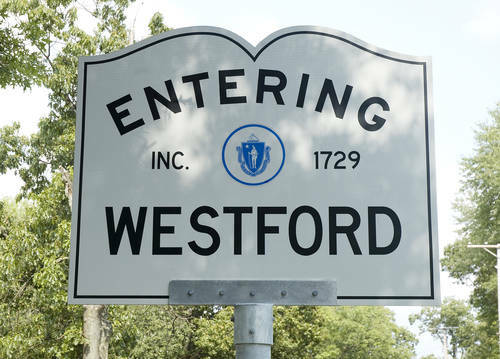 In its early years, Westford primarily produced apples, yard and granite, but when the Civil War started, it transformed into a more suburban area, serving as a home for workers in nearby factories and mills. Today, the town has again shifted, now acting as a veritable hub of technology in the area. A number of the nation’s biggest tech companies call Westford home, including Sonus Networks, Samsung, Seagate and more. One of the biggest draws of the Westford community is the ever-rotating calendar of events. From an annual snow sculpture contest, a 10K race or the Apple Blossom Parade and Carnival to the Strawberry Festival, Blues & Brews or the Festival of Trees, there’s something for every season and interest in Westford. As for daily entertainment, Westford residents can head over to the Nashoba Valley Ski Resort for some time on the slopes, ride horses at Bobby’s Ranch or go putt-putting at Kimball Farm. The town is also home to a number of trails, parks, community clubs and organizations, and plenty of outdoor activities for the whole family. Two public beaches, a canoe launch and miles of hiking and biking trails are just minutes away. Children in the area learn from the best, attending Westford Public Schools. Westford Academy, the town’s high school, is one of the oldest still-operating high schools in the entire country. It was also named a national Blue Ribbon School – the highest honor a school can receive – from the U.S. Department of Education in 2008. For students looking for more hands-on training, Westford residents can also attend the Nashoba Valley Technical High School, which offers vocational and technical education. A town like Westford – so full of amenities and desirable qualities – has a housing inventory in which homes start in the mid $300,000s and go all the way up to the millions, depending on what size and type of structure you’re looking for. Though the typical home averages a price of about $480,000, there is a wide variety of price range and preference here the town. If nationally recognized schools, ample entertainment and affordability sound like winning qualities in a hometown, Westford may just be the right choice. Come see for yourself just how perfect Westford life can be.